Many patients feel so anxious about going to the dentist that they avoid getting regular dental care. 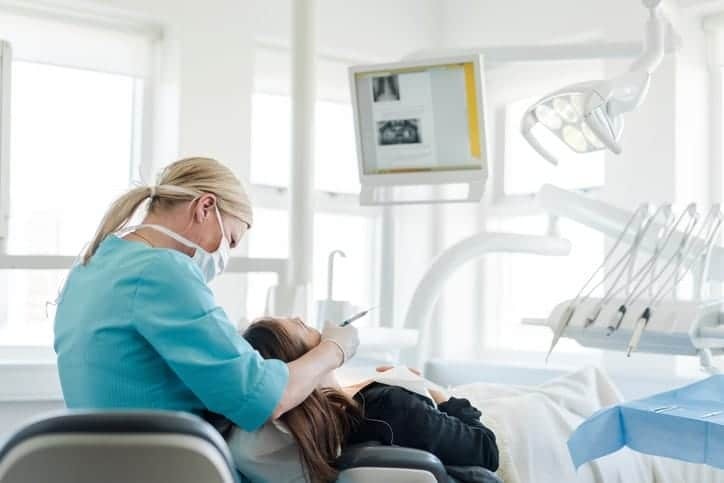 For these patients – as well as those facing more complicated dental procedures – sedation dentistry can help them feel comfortable and relaxed, allowing them to get the care they need. Sedation dentistry allows your dentist to utilize medication to help make you more comfortable during your dental visit. Also known as laughing gas, nitrous oxide is inhaled through a mask. It makes you feel relaxed during your procedure, and the effects wear off quickly when the mask is removed. These pills make you feel relaxed during your dental procedure. You’ll still be able to talk to your doctor, but you’ll be unaware of much that’s going on during your procedure. You’ll need someone to drive you home if you’ve been given oral sedatives. In addition, you may receive dental anesthesia for some procedures to help provide pain relief. Where can I find sedation dentistry on Long Island? The experienced, highly trained dentists at Dental365 offer several sedation options based on each patient’s individual needs. We understand that some patients are fearful about going to the dentist, and we’ll help them get the care they need while remaining calm and comfortable. We have multiple locations throughout the New York metropolitan area that offer Sedation Dentistry including Bellmore, Centereach, Oceanside, Union Square and Midtown Manhattan. We’re open seven days a week with extended business hours on weekdays and also offer emergency services. For your convenience, you can make an appointment or just stop by. If you’re fearful of going to the dentist and want to find out more about sedation dentistry, contact us today for a consultation with Dental365 today or simply stop by one of our offices. Our dentists perform everything from routine dental care such as teeth cleanings to cosmetic and restorative procedures and offer sedation when appropriate. Fill out the form on this page to request an appointment or call 844-365-DENTAL to learn more.